Mildred A. (Chambers) Anderson of Braintree, passed away peacefully on Saturday May 5, 2018. She was the beloved wife of the late Harold J. Anderson. 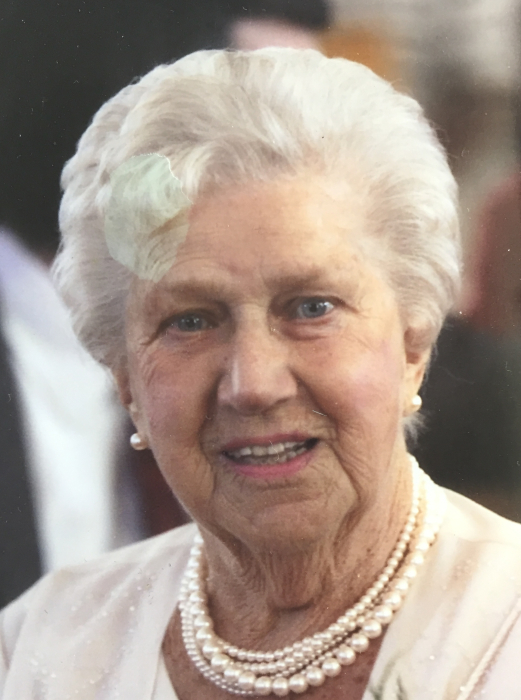 Mildred was a lifelong resident of Braintree and a member of the Heritage United Methodist Church of Braintree and the South Shore Viking Club. She enjoyed spending time at her cottage in Plymouth. Above all else, she took pride in her family, and loved nothing more than being surrounded by her children and grandchildren. She was the loving mother to Kristin Tivnan and her husband Michael of Hanover, Tyra White and her husband Richard of Mansfield, Ronald Anderson of Braintree, Glenn Anderson and his wife Dianne of Carver, Harold J. Anderson Jr. and his wife Linda of Duxbury, and Erik Anderson of Braintree. Cherished and beloved grandmother to Ryan Tivnan and his wife Ariana of Lynnfield, Dr. John Tivnan and his wife Casey of Boston, Trent Tivnan and his fiancé Jessica Dauksevicz of Dorchester, Evan White and his wife Gina of Hanover, Brittany White of Mansfield, Kerry Provost and her husband Joseph of Plymouth, Kaitlyn Adams and her husband Ryan of Westford, Harold J. Anderson III and his wife Mary of CT, Kyle Anderson and his wife Kaidy of NJ, Heather Anderson of Duxbury, and Jake Gellatly of Worcester. Loving great grandmother to Ava, Harold IV “Chip”, June, Addison and Ayla. At the request of the family there will be no visiting hours. A private memorial service for Mildred will be held at Blue Hill Cemetery Braintree. Arrangements entrusted to the McMaster Funeral Home Braintree.